Designer Line refrigerator / freezer combinations by Continental. 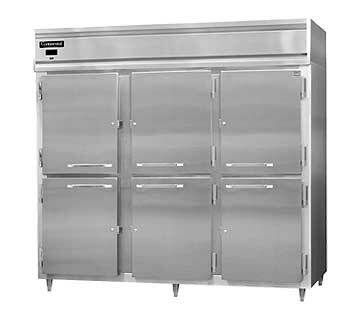 These three section reach-ins have self-contained refrigeration systems and your choice of aluminum or stainless exteriors and narrow full-height or half-height doors. Digital exterior thermometers. Made in the USA. 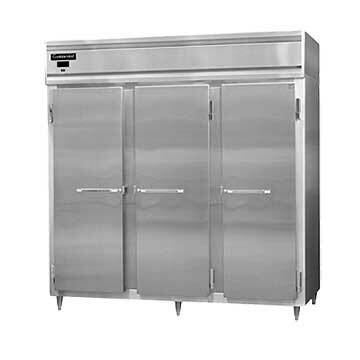 Continental Refrigeration manufactures an extensive line of commercial NSF refrigerators that are made in the USA.